Name: E.E. Cummings (yes, capitalised!). The small-e.e cummings was a poetic persona. In his life, Cummings only referred to himself in lower-case as a joke: “smalls, smalls kew-mangs”. Location: Patchin Place, New York or Joy Farm near Silver Lake, New Hampshire. ​E.E. Cummings was born in Cambridge, Mass. on the 14th of October, 1894. He studied Greek and English literature as an undergraduate and subsequently Masters student at Harvard, and then in 1917 joined a volunteer American ambulance unit serving in France during the Great War. During his three months’ stint as an ambulance driver on the Front, his closest friend in service, William Slater Brown, wrote frankly in letters home about the disaffection of the French troops and incurred the notice of the French censors. Brown and Cummings were arrested—Brown, on suspicions aroused by the letters; Cummings, on grounds of connection to Brown. Cummings’ first major literary work, The Enormous Room, is an account of his arrest, imprisonment, and eventual release after another three months. The Enormous Room was published in 1922—that iconic year for literary modernism which also saw the publication of Ulysses and The Waste Land. 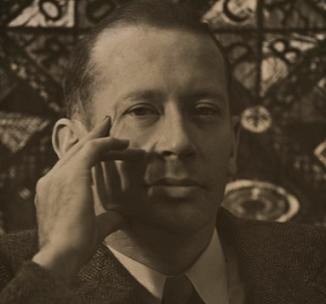 Cummings found his place among the American modernists. His early career and success in the 1920s was forged partly through the publication of his work in The Dial, the same “little magazine” that first published The Waste Land in America. In that decade, he rose rapidly to prominence and was much acclaimed. From the 1930s onward, however, hostile critics repeatedly claimed that his poetry never evolved beyond the radical and exciting breakthroughs of the early 1920s and that his work had diminished into self-parody and cheap tricks—in other words, that Cummings never “grew” as a writer. These accusations not only underestimate the changes over time in Cummings’ poetic technique, but fail also to appreciate his fluctuating themes and evolving engagements with the work of other poets and writers (both past and among his own contemporaries). Cummings was married three times; the third marriage was a happy one, to model and photographer Marion Morehouse. He died on the 3rd of September, 1962. He had one child, Nancy, who was born to his first wife Elaine Orr before she and Cummings married. ​Profile by J. Alison Rosenblitt, Regent’s Park College (Oxford) and Faculty of Classics (Oxford), author of E.E. Cummings’ Modernism and the Classics: Each Imperishable Stanza, Oxford University Press 2016. About the book: This volume is a major, ground-breaking study of the modernist E. E. Cummings’ engagement with the classics. With his experimental form and syntax, his irreverence, and his rejection of the highbrow, there are probably few current readers who would name Cummings if asked to identify 20th-century Anglophone poets in the Classical tradition. But for most of his life, and even for ten or twenty years after his death, this is how many readers and critics did see Cummings. He specialised in the study of classical literature as an undergraduate at Harvard, and his contemporaries saw him as a “pagan” poet or a “Juvenalian” satirist, with an Aristophanic sense of humour. In E.E. Cummings’ Modernism and the Classics, Alison Rosenblitt aims to recover for the contemporary reader this lost understanding of Cummings as a classicizing poet. ​Cummings wrote because, for a writer, to write is to live and to live is to write, and Cummings cared about nothing more than to be truly and fully alive. He argued that “mostpeople”, governed by money and the pressure to conform, wandered through life in a state of being dead. A true poet lived in a state of immediacy: alive to the thoughts, feelings, and sensations of “now”. Painting. But he would have objected to “other”, as if the painting were somehow secondary to the writing. He felt moments of bitterness that his painting never gained the same level of recognition as his poetry. He became a “nearly” as a visual artist. For three years running—1919, 1920, and 1921, he exhibited vast, colourful, swirling abstract oils at the major independent exhibition in New York: the Annual Exhibition of the Society of Independent Artists, showing at the Waldorf Astoria. The Dial also published many of his deceptively simple ink drawings, the originals of which are mostly now held in the Metropolitan Museum of Art (New York) and can be appreciated in the museum’s online catalogue . Cummings seemed on the cusp of success as a painter, and yet it never quite happened. Partly, perhaps, the problem was that he never settled on the right style; partly, it was the bad luck of failing to chance upon that one breakthrough painting or moment that makes a reputation. ​Homer for nobility and Sappho for sublimity. Also George Herriman for the comic strip Krazy Kat. ​Spontaneity followed by obsessive redrafting. Cummings wrote everywhere. On loose pages. In notebooks. On used envelope flaps. On cancelled cheques. Upside down, over and under pencil sketches, crossways. But when this chaos pulled together as the draft of a poem, he would redraft it thirty or forty or seventy or a hundred times, moving as little as a comma. ​Fathers aren’t always easy. Especially when you’re a student at Harvard, and your father is a renowned minister of a Boston Unitarian Church. And when you and your Harvard friends meet for “tea” every afternoon, which really means tea and rum, and your father spent his own Harvard years as President of the Harvard Total Abstinence League. And when you and your friends spend your evenings at the Howard Athenaeum watching the most delicious burlesque troupes—except when your father has arrived with the Watch & Ward Society to shut down the fruitiest shows. Sometimes there’s not much left to discuss except fishing. A long letter from your holiday in Maine about the choice of fishing rods, casting techniques, and flies discharges the filial duty to communicate just nicely. Trout though; not carp. Notes: Cummings, not cummings, see: Friedman, Norman. 1992. ‘Not “e.e. cummings”.’ Spring: Journal of the E.E. Cummings Society 1: 114-21; ‘smalls, smalls kew-mangs’: letter to his agent, Betty Kray, quoted in the ‘News, Notes, & Correspondence’ section of Spring 19, 2012 . Tea with rum: Hillyer to Charles Norman, 24 February 1958, Harry Ransom Center Charles Norman Papers 11.10. President of abstinence league: Boston Globe Archives, 24 March 1883. Cummings’ father and the Watch & Ward: letter from Anne Barton to Charles Norman: HRC Charles Norman Papers 10.8; Kennedy, Richard S. 1966. ‘Edward Cummings, the Father of the Poet.’ Bulletin of the New York Public Library 70: 446. Letter about fishing: Houghton Library (Harvard), E.E. Cummings Papers: 21 July 1914, MS Am 1823.1 (152).